WASHINGTON (Saving Seafood) — September 15, 2015 — Tonight, at a NOAA town hall meeting in Providence, Rhode Island, representatives from two of the largest fishing industry organizations in New England presented a letter that will be sent to President Obama opposing calls for a new marine National Monument in the waters off the coast of New England. 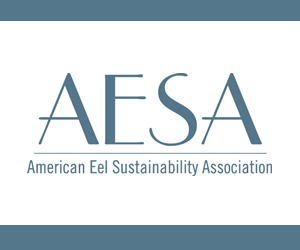 Drew Minkiewicz, of the Fisheries Survival Fund, and Jackie Odell, Executive Director of the Northeast Seafood Coalition, will present the letter. In just 24 hours, over 630 fishermen, seafood industry workers, and members of our nation’s fishing communities have signed the letter. Signatures will continue to be collected, and the letter will be submitted to the White House, with copies to the Secretary of Commerce, the Administrator of the National Oceanic and Atmospheric Administration, and the Administrator of the National Marine Fisheries Service. The meeting in Providence is being called to discuss the possibility of declaring Cashes Ledge, as well as the New England Canyons and Seamounts, as National Monuments. The signers of the letter strongly oppose the proposal as unnecessary and harmful to current management efforts. The letter notes that Cashes Ledge is currently protected, as has been so for over a decade. It also notes a National Monument designation, which would result from unilateral Presidential action under the Antiquities Act, would remove the areas from the open, democratic regulatory process that is currently responsible for managing them. 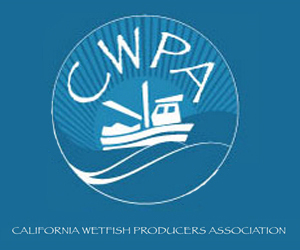 The Fisheries Survival Fund represents the majority of the full-time Limited Access scallop fleet. 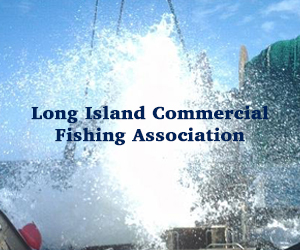 The Northeast Seafood Coalition represents members of the commercial groundfish fishery in New England. 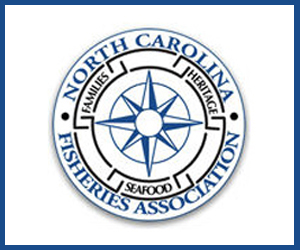 The Northeast Seafood Coalition is a non-profit membership organization representing commercial fishing entities in the northeastern United States on political and policy issues affecting their interests as participants in the multispecies (groundfish) fishery. We, the undersigned, in conjunction with the Fisheries Survival Fund and the Northeast Seafood Coalition, object to any attempt to manage New England’s offshore marine habitats through the use of the Antiquities Act and the designation of National Monuments. Doing so undermines the public and democratic processes that are now in place to manage these areas, shuts out important stakeholders, and prevents meaningful outside input. Considering that the current public process has led to the substantial habitat protections already in place throughout the region, such a designation is both unnecessary and damaging to the long-term management of these areas. New England’s marine habitats are currently managed through a consultative process that considers the experience and input of expert scientists, fishermen, environmentalists, and regulators. It is where the best available science and analytical approaches are vetted in an open and transparent venue. Large-scale closures, enacted by executive fiat and not based in science, are not only undemocratic but they can have substantial unintended adverse impacts on bycatch composition, region-wide habitat, and the economies of coastal communities. 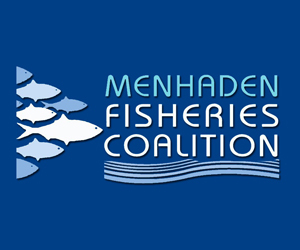 Recent actions by the New England Fishery Management Council (NEFMC), specifically the recently passed Omnibus Habitat Amendment 2 (OHA2) reinforce habitat protections in New England waters into the foreseeable future. In addition to protecting features such as the kelp forests on Cashes Ledge under OHA2, the regional management councils have gone to great lengths to further safeguard essential habitats such as corals. The NEFMC is considering the Deep-Sea Coral Amendment, which would preserve the coral habitats in the New England Canyons and Seamounts, areas that have also been frequently under discussion for National Monument designation. The Mid-Atlantic Fishery Management Council (MAFMC) also recently acted to protect over 38,000 square miles of deep-sea coral. These are clear demonstrations that current habitat management is remarkably sensitive to conservation and the need to protect unique habitats. Replacing this collaborative, open management with top-down Presidential action undermines these successful efforts. It makes it less likely that local voices are heard in the deliberations, narrows the decision-making process from broadly democratic to single-handed, and in consequence disregards crucial stakeholder input and expertise. It ultimately results in a regulatory process that is not responsive to feedback and is not accountable to the people who are most affected by it. 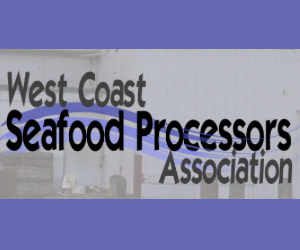 As members of the fishing communities whose livelihoods depend on inclusive, responsive management we recognize that such a fundamental altering of the regulatory process is unacceptable. Any management of public resources needs to preserve public input and involvement, not disregard it. We oppose unilateral Executive Action to declare marine National Monuments in New England. NOAA Fisheries announces an increase to the trip and possession limit for Gulf of Maine cod for common pool vessels. We had reduced possession and trip limits to zero on June 15, 2015, to prevent the common pool from exceeding its Trimester 1 quota. To date, the common pool fishery has harvested approximately 31% of its annual quota for Gulf of Maine cod. Through this action, we are increasing the possession and trip limit from zero to 25 pounds per trip for the remainder of the fishing year, though April 30, 2016. This new limit goes into effect with publication in the Federal Register on Wednesday, September 16. Read the rule as filed in the Federal Register today, and the permit holder bulletin available on our website. Questions? Contact Jennifer Goebel, Regional Office, at 978-281-6175 or Jennifer.Goebel@noaa.gov. September 13, 2015 — Federal officials on Tuesday will present a proposal to permanently protect three deep-sea canyons and nearby underwater mountains off New England in a move that would create the first “marine national monument” on the eastern seaboard. Although environmental groups and marine scientists have been pushing for the special designation for the area that starts about 100 miles southeast of Cape Cod at the edge of the Outer Continental Shelf, they say the current proposal under consideration by the National Oceanic and Atmospheric Administration doesn’t go far enough. At the upcoming Town Hall meeting in Providence, the groups’ focus won’t be so much on Oceanographer, Gilbert and Lydonia canyons and the seamounts that lie south of them but on other areas in the region that haven’t been included for protection in the plan. At the top of the list for the Conservation Law Foundation, the Natural Resources Defense Council, The Pew Charitable Trusts and others is Cashes Ledge, a swath of waters in the Gulf of Maine that they describe as a one-of-a-kind fish nursery and feeding ground for important species that range from cod to tuna to endangered North Atlantic right whales. September 11, 2015 — Do you believe that the only way to conserve our public lands and waters is to lock recreational fishermen out? Do you view recreational fishing as an extractive activity on par with oil drilling and commercial bottom trawling? But right now, that’s what some anti-fishing organizations are actively accusing us of. When demanding areas off the New England coast be designated as “fully protected” marine monuments, their real agenda is to set up no-fishing zones. The federal government is currently exploring this issue. There is the potential for all recreational fishing to be banned, even though there’s no evidence to suggest we pose a threat to the habitat or fish populations in these areas. September 10, 2015 — The Pew Charitable Trusts is circulating a petition calling for President Obama to designate Cashes Ledge and areas of the New England Canyons and Seamounts as National Monuments. Such as designation would permanently close these areas to fishing and other commercial activity, but would also remove them from the current public management process. Several of the areas, most notably Cashes Ledge, are already off-limits to fishermen under existing habitat protections. MAKE HISTORY BY ASKING THE OBAMA ADMINISTRATION TO CREATE THE FIRST MARINE NATIONAL MONUMENT IN THE ATLANTIC OCEAN! The “Grand Canyons,” sea mountains, and Cashes Ledge off New England’s coast are national treasures. These precious ecosystems provide refuge for hundreds of species of rare and unique marine wildlife, including whales, seabirds, and long-living cold-water corals. These remote areas are also critical to the health of our ocean fish, which are the lifeblood of Atlantic coastal communities. Unfortunately, these fragile undersea places are under growing threat of destruction from overfishing and industrial exploitation as the deep ocean becomes more accessible to extraction. Now is the most crucial time to protect New England’s Grand Canyons, sea mountains, and Cashes Ledge—and we need your help! SEND A MESSAGE. OVERWHELMING PUBLIC SUPPORT IS NEEDED TO CONVINCE THE ADMINISTRATION TO FULLY PROTEC THESE SPECIAL PLACES FOREVER! September 7, 2015 — As traditional fish stocks in New England continue to decline and the industry endures greater restrictions, fishermen have been creating a new line of work: They are becoming farmers — shellfish farmers. The cultivation of oysters and clams has become big business in Massachusetts, especially on Cape Cod, but the one source for the state’s $25 million aquaculture industry almost shut its doors. Myron Taylor is out on Wellfleet Harbor. He’s 74 and has been been raising clams and oysters here since he was a kid. “And back in the old time when we had to pick up all the oysters seeds on the beach, in order to get them to grow, and it took about four years to get an oyster to grow,” he says. Those wild oyster seeds Taylor picked up off the beach years ago were juvenile oysters and clams that he would plant in nearby waters. But that traditional method for growing shellfish was very slow and often did not yield much product. So like most fishermen on the Cape, Taylor caught cod, flounder and other groundfish to earn a living. In the late 1980s, when those stocks became scarce, Taylor turned to lobstering. It was around that time he heard about some scientists in Dennis who were harvesting tiny clam seeds and selling them to fishermen to grow. On the eve of Boston Fashion Week, fishermen in New Bedford, the nation’s top dollar fishing port, will strut their stuff in the world’s first fishing gear fashion show. Fishermen will model the latest product lines as well as gear from different fisheries and different eras to provide an entertaining look at how workplace clothing has evolved over time. The fashion show will take place on Saturday, September 26th at 2PM as part of the 2015 Working Waterfront Festival, an annual event celebrating commercial fishing culture. Local businesses that manufacture and retail clothing for the commercial fishing industry have stepped up to provide the gear to be modeled. Skips Marine, Euro Fishing Gear, and Guy Cotten will present the latest in foul weather gear including outerwear, sea boots, and work gloves. 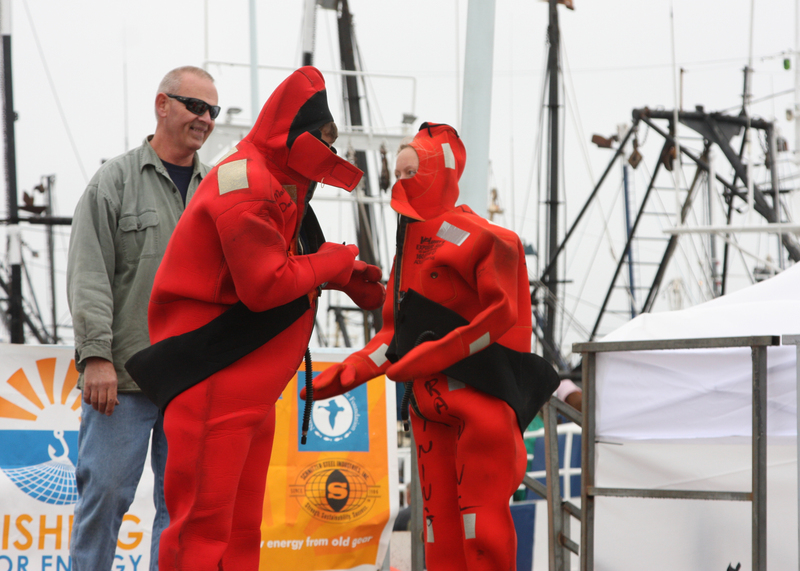 Hercules LLC will model safety gear such as PFDs and survival suits. The Landing will show off its line of gear for women who fish commercially as well as specialized aprons developed for fish cutters. In addition, the event will include examples of gear from earlier times to provide a historical perspective. The Working Waterfront Festival is a project of the Community Economic Development Center of Southeastern MA, a non-profit organization. The FREE festival, a family friendly, educational celebration of New England’s commercial fishing industry, features live maritime and ethnic music, fishermen’s contests, fresh seafood, vessel tours, maritime authors, cooking demonstrations, kid’s activities and more. 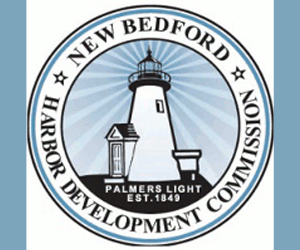 It all takes place on working piers and waterfront parks in New Bedford, MA, America’s #1 fishing port, on the last full weekend in September. Navigate to us at www.workingwaterfrontfestival.org. September 9, 2015 — There’s another battle brewing in Maine’s lobster industry, but this is one that likely will be fought in the Legislature rather than on the water. Out to about 12 miles offshore, Maine waters are divided from east to west, into seven Lobster Management Zones. Lobstermen are required to declare which of the zones they will fish in based, generally, on where they live. 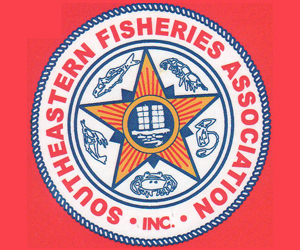 Six of those zones have waiting lists established under the state’s “limited entry” law, of people who have completed a state-mandated apprenticeship program and want a license to fish for lobster in the zone. The number of new licenses available each year depends, in eastern Maine, on the number of licenses surrendered each year. In western Maine, new issues are based on the number of trap tags surrendered. Every licensed commercial lobsterman is entitled to fish up to 800 traps, each of which must be marked with a plastic tag purchased each year from the Department of Marine Resources. In some of those zones, the waiting list, and the waiting times for a new license, are extremely long. In Zone D — around western Penobscot Bay — there are 59 on the list, which stretches back to November 2005. In Zone B, around Mount Desert Island including Frenchman Bay over to Schoodic Point, the waiting list includes 55 names and stretches back to May 2005. With decade-long waits for a new license (the shortest list contains 28 names and dates to 2007,) fishermen on the list have been pressing Governor Paul LePage and their state legislators, and the Governor and the legislators have been pressuring the Department of Marine Resources to develop a new limited entry system with what DMR Commissioner Patrick Keliher described last Monday as “a predictable time frame” for people waiting for licenses. September 9, 2015 — It is an oily little fish only surpassed by its ugliness. But to the Native Americans and subsequently the early settlers along the eastern seaboard, it was more valuable than caviar. When the settlers came to Virginia and New England, methods of growing food were much different than from their homelands. The soil was sandy and less fertile than home which made farming difficult. The Native Americans taught the colonists how to place two small fish in each hill where seeds were planted. The decomposition of the fish added the required nutrient, and corn, introduced to the colonist by the Indians, became a staple food for settlers. In long rows, the fish were laid end to end and covered up. As they decomposed, the usually sandy loam soil became much more fertile and would support crops. The fish was called munnawhateaug by the Native Americans. It has been called a variety of other names in English such as bunkers, porgy, fat back, yellow tail but mostly menhaden. The fish usually does not exceed 10-12 inches in size and its main diet is plankton making it a very important part of the aquatic food chain in the waters from Maine to the Mid-Atlantic. The menhaden schooled very close to shore. They were harvested by haul sein nets from the shore, in gill nets worked by canoes or small boats, in pound nets, or in some cases schools of fish were pressed against the shoreline and scooped up in baskets. Quite by accident, the oil produced by rendering the fish was found to be satisfactory for use instead of whale oil. In about 1850, an old lady named Mrs. John Barlett from Blue Hill, Maine was cooking some menhaden to feed to her chickens. She noticed as the fish boiled, there was an abundance of clear oil left on top of the water. According to an 1874 statement by Eben Phillips, an oil merchant in Boston, Mrs. Barlett skimmed the oil from the kettle and brought him a sample of the oil. He told her that he would pay $11 per barrel for all she could produce. The next year she produced 13 barrels and then 100 barrels the next year and so forth. As in the case of most “discoveries” by accident, a lady cooking chicken feed was the beginning of the menhaden industry along the East Coast from Maine to the Carolinas. The oil from these small fish huddled close to shore became competitors with the ocean going New England whalers producing lamp oil and oil for other uses. The by-product of boiling the fish was collected, ground and sold as fertilizer and refined for animal feed. September 6, 2015 — Hundreds of thousands of pounds of valuable fish caught off Connecticut’s coast are thrown overboard every year, and 80 percent of them are dead by the time they hit the water, experts say. Commercial fishermen, environmentalists and state officials say a prime reason for such a stunning waste of a natural resource is an out-of-date federal regulatory system that hasn’t kept up with the realities of a changing climate and shifting fish populations. “The whole construct of the [regulatory] system needs to be questioned,” said Curt Johnson, executive director of the Connecticut Fund for the Environment and Save the Sound. The problem is that federal fishing regulations are designed to protect fish species based on where they used to be most plentiful. Some of those fish populations have now shifted their range north as a result of global warming, but federal fishing quotas haven’t changed. As a result, Connecticut fishermen are saddled with low, out-of-date quotas, forcing them to throw back huge amounts of certain species, even though those fish have become plentiful off New England.